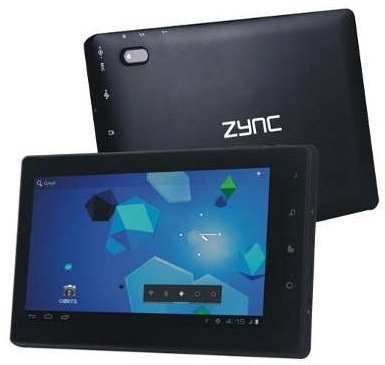 Zync Global, the Noida based company which sells tablets PCs under the same brand name has announced the launch of a its first 3G enabled tablet in India namely Zync Z-999+ with a price tag of Rs. 11,990. The Zync Z-999+ is the fourth tablet from Zync and its previous launch was the Zync Z-990 which was also a 7 inch tablet priced at Rs. 6,490. The tablet is available for sale through major online retailers for Rs. 11,990 and we expect the tablet to sell good given the specs are decent and the tablet arrives with 3G connectivity. The Z-999 Plus arrives with a 1 Year Pick and Drop Warranty from Zync.